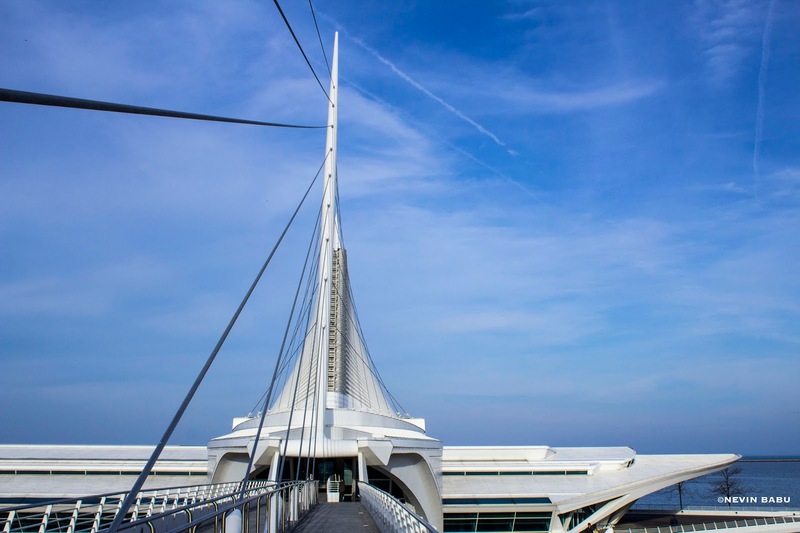 The Milwaukee Art Museum, located at Milwaukee, Wisconsin, collects and preserves art, presenting it to the community as a vital source of inspiration and education. From its roots in Milwaukee’s first art gallery in 1888, the Museum has grown today to be an icon for Milwaukee and a resource for the entire state. It has almost 30,000 works of art. 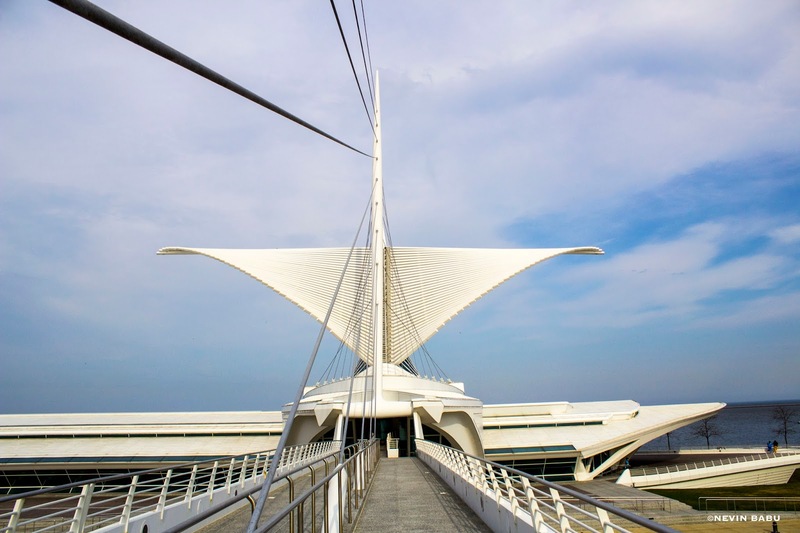 The Milwaukee Art Museum Addition is an architectural and engineering masterpiece. The complex building includes unusual shapes of concrete and steel, cantilevered concrete canopies that stretch the limits of the material, and a unique cable-stayed bridge. Its signature feature is 110-ton moveable winged roof, whose 66 m wingspan opens and closes on top of a pavilion of steel and glass, all in a little over 3 minutes. The “wings” of the building open at morning in accordance with regular days of operation, close/reopen at noon, and close at evening. Interesting architecture and wonderfully captured!